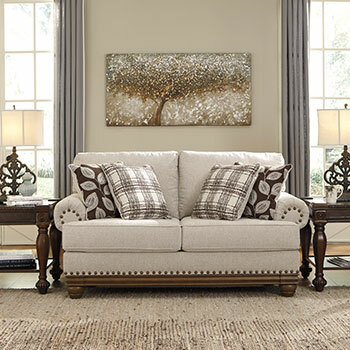 You can bring function and beauty to your living room easily when you shop at American Furniture. 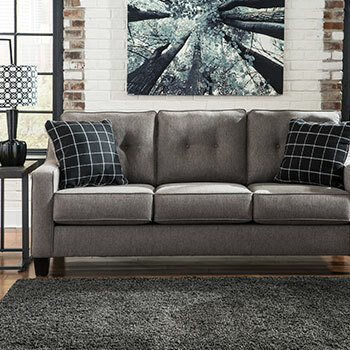 Explore tech-integrated living room furniture such as 3-prong outlet and USB port enhanced end tables, LED inlayed coffee tables, stylish and functional ottomans featuring hidden coffee tables, and more. 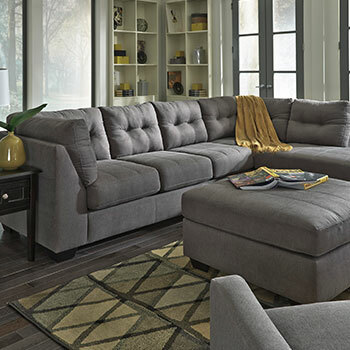 Shop online, at our Philadelphia, PA furniture store, and other 4 locations for low prices on these magnificent living room furnishings and more home furnishing options. 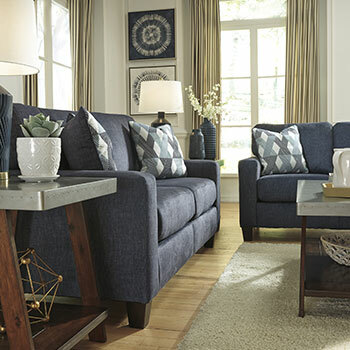 You can bring your living room to the 21st century with tech-integrated end tables. 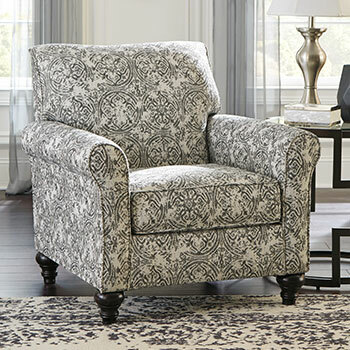 We carry a collection of end tables featuring USB ports and three-prong outlets. Quickly charge your phone, tablet, and laptop. 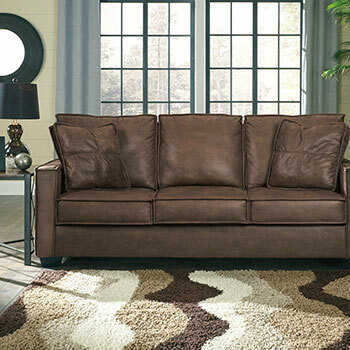 You also have easy access to a power source to accent your living room with light fixtures and more. 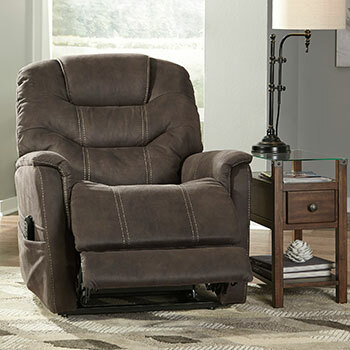 Plug-in to one outlet and upgrade it to three outlets plus USB connectivity on our 3-prong outlet chairside table featuring 2 USB ports and finished in dark-wood varnish. 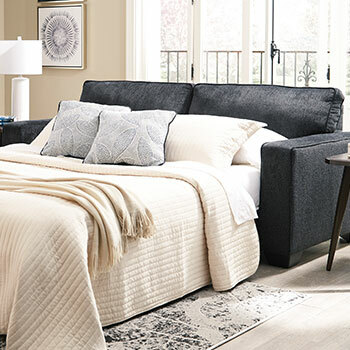 The hassle of charging your phone across the room or finding a 10-foot charging cable vanishes when you purchase a tech-enhanced end table from our living room furniture collection. 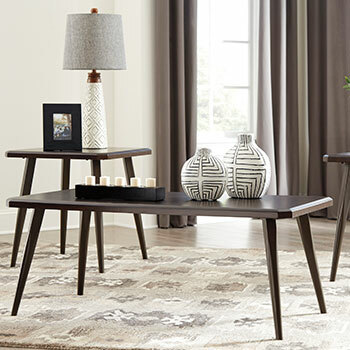 You can enhance the look of your living room with one of our ultra-modern, LEDinlayed coffee tables and end tables. You’ll love the sleek chrome base which is the pedestal for the shining show; tempered glass inlayed with LED lights bathe the adjacent space and table with soft blue hues and create a calming ambiance. 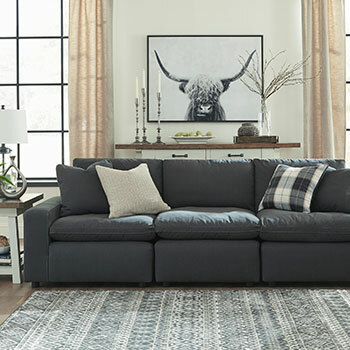 American Furnitre offers a ton of traditional designs as well; shop our selection of living room furniture to find coffee tables and end tables fit for you. 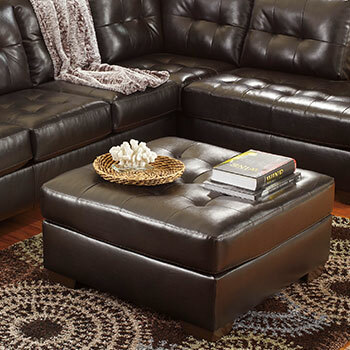 You can have fashion and function with an ottoman/coffee table combination model. 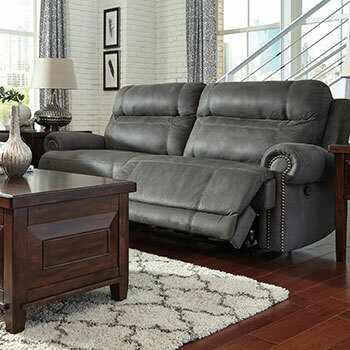 This beautiful piece, set on a dark wood base, features two faux leather cushions. Lift the cushions up and they extend out to become seats! 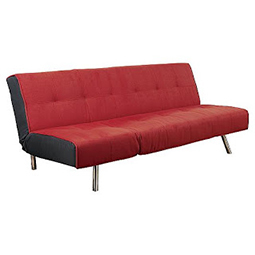 As you extend your seats you reveal a tabletop within; this is the ultimate piece of functional living room furniture. 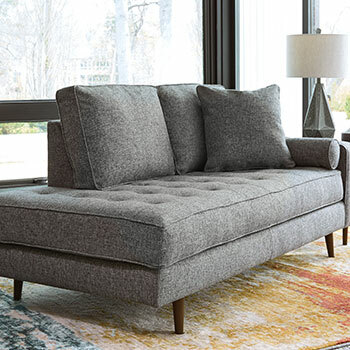 Explore this and similar options along with comfy, cable-knit ottomans for an extra cozy foot rest.